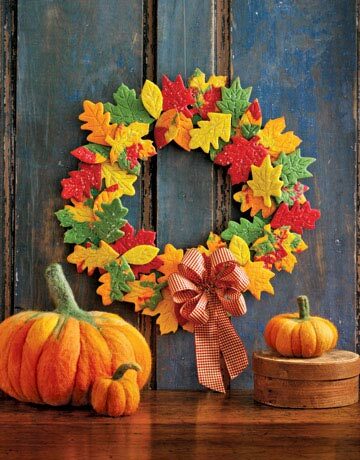 If your oven isn't going to be busy baking a turkey, why not whip up a couple of batches of fall colored cookies to put together this edible Fall cookie leaf wreath. If you don't have time before Thursday, you could easily switch this up to make it an edible Christmas cookie wreath. You can see the tutorial for this Fall cookie wreath over at Country Living.